Mad Millie artisan cheese kits have everything you need to get started making delicious fresh and aged hard cheeses at home - just add milk! It is the ultimate kit for cheese lovers and is designed to be used in any kitchen - no experience needed! 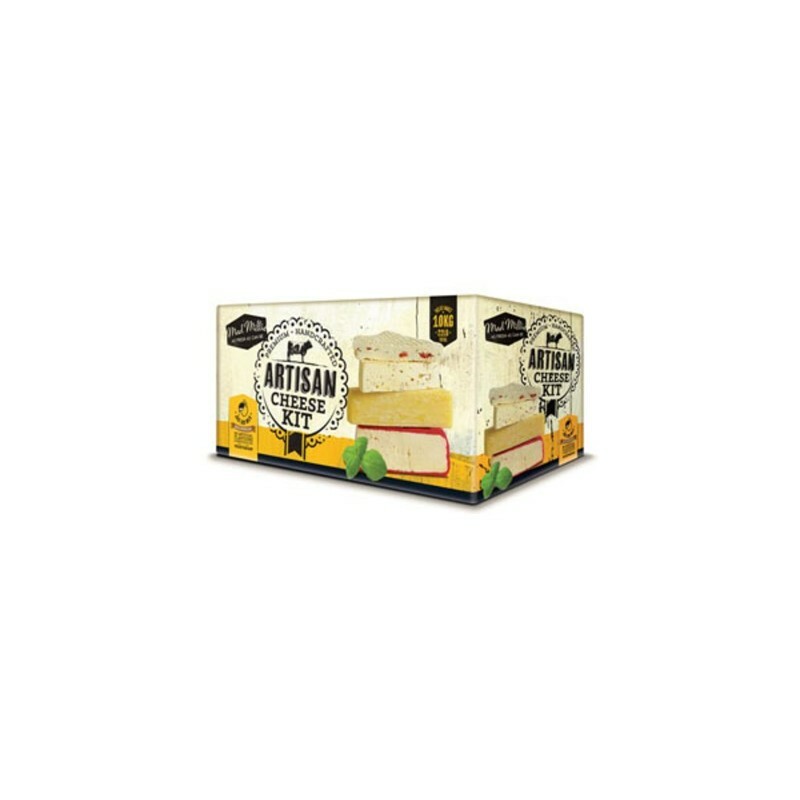 Includes reusable equipment and quality ingredients that are free from artificial flavours and preservatives. Buying this product = 184 Reward points for Members. Your cart will total 184 points = voucher of $9.20. Not a Member? Join at checkout to claim these points. 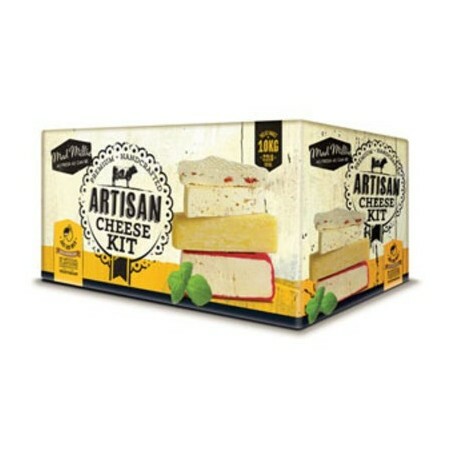 The Artisan Cheese Kit is the ultimate kit for cheese lovers and includes everything you need to get started making delicious fresh and aged hard cheeses at home - just add milk! It contains genuine cheesemaking culture so your can be sure your cheese will be authentic and full of flavour. 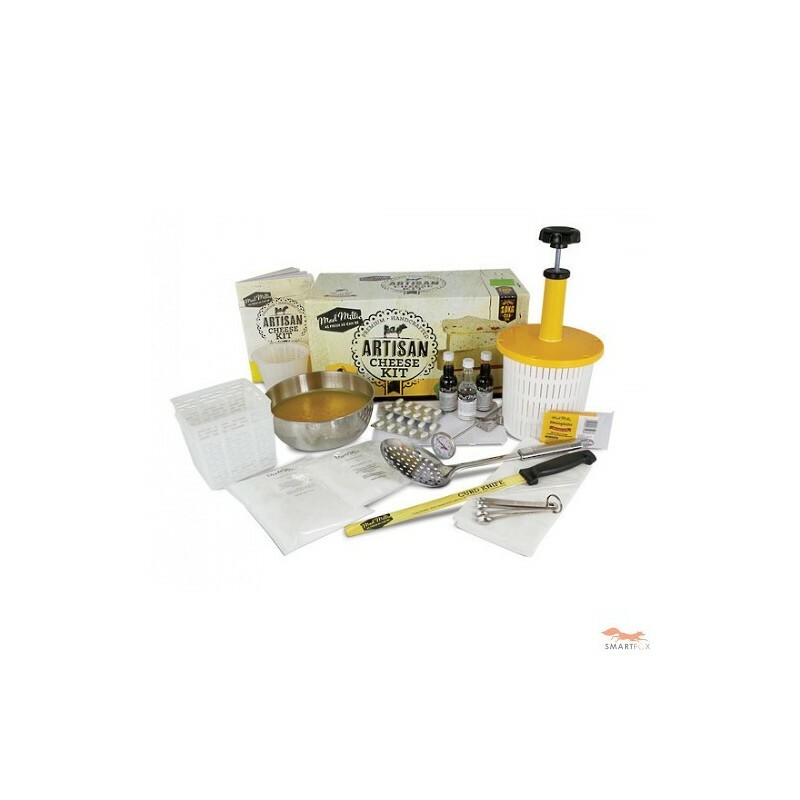 With this kit you can make: mozzarella, ricotta, ricotta salata, mascarpone, quark, cottage cheese, feta, goat's feta, goat's milk spreadable cheese, halloumi, light cream cheese and french style cream cheese, farmhouse butter, Chevre Frais, colby, cheddar, havarti, Caerphilly and Wensleydale at home! Each kit includes top quality ingredients and reusable equipment - everything you need to make up to 20 batches (10 kg in total) of cheese. All you need to supply is fresh milk and some basic kitchen supplies! Shipping time & freight surcharge: Note that due to the bulky size of the kit an additional postage charge may apply depending on delivery destination if ordered with other items. We will contact you for approval of any additional charges before shipping. Please see our delivery & shipping page for more details.